Two-time Naismith Basketball Hall of Famer. Two-time Olympic Gold medalist. Three-time Big East Player of the Year. Five-time NBA All-Star. Former Mr. New York Basketball. 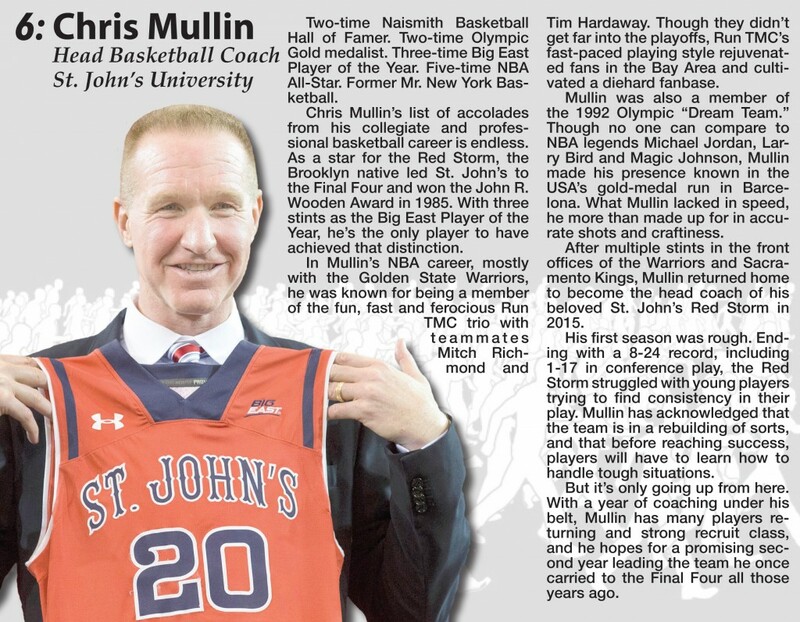 Chris Mullin’s list of accolades from his collegiate and professional basketball career is endless. As a star for the Red Storm, the Brooklyn native led St. John’s to the Final Four and won the John R. Wooden Award in 1985. With three stints as the Big East Player of the Year, he’s the only player to have achieved that distinction. In Mullin’s NBA career, mostly with the Golden State Warriors, he was known for being a member of the fun, fast and ferocious Run TMC trio with teammates Mitch Richmond and Tim Hardaway. Though they didn’t get far into the playoffs, Run TMC’s fast-paced playing style rejuvenated fans in the Bay Area and cultivated a diehard fanbase. Mullin was also a member of the 1992 Olympic “Dream Team.” Though no one can compare to NBA legends Michael Jordan, Larry Bird and Magic Johnson, Mullin made his presence known in the USA’s gold-medal run in Barcelona. What Mullin lacked in speed, he more than made up for in accurate shots and craftiness. 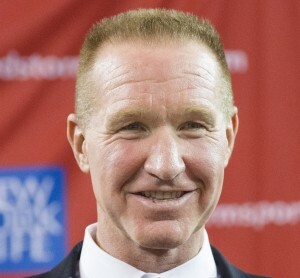 After multiple stints in the front offices of the Warriors and Sacramento Kings, Mullin returned home to become the head coach of his beloved St. John’s Red Storm in 2015. His first season was rough. Ending with a 8-24 record, including 1-17 in conference play, the Red Storm struggled with young players trying to find consistency in their play. Mullin has acknowledged that the team is in a rebuilding of sorts, and that before reaching success, players will have to learn how to handle tough situations. But it’s only going up from here. With a year of coaching under his belt, Mullin has many players returning and strong recruit class, and he hopes for a promising second year leading the team he once carried to the Final Four all those years ago.